Storytelling is a crucial way to engage an audience and entice visitors to really understand and buy into your brand. It also offers a creative way to provide information to those who have not heard of your brand before. Research shows us that a high percentage of customers engage more with storytelling and want brands to produce advertising campaigns that have a narrative. Firstly, it is important to personalise your story. Write your narrative from a point of view and make this persona relatable to the reader. Your character can be anybody from the company CEO to the person reading your content. Doing this will make the reader far more empathetic and will add authenticity to your content. 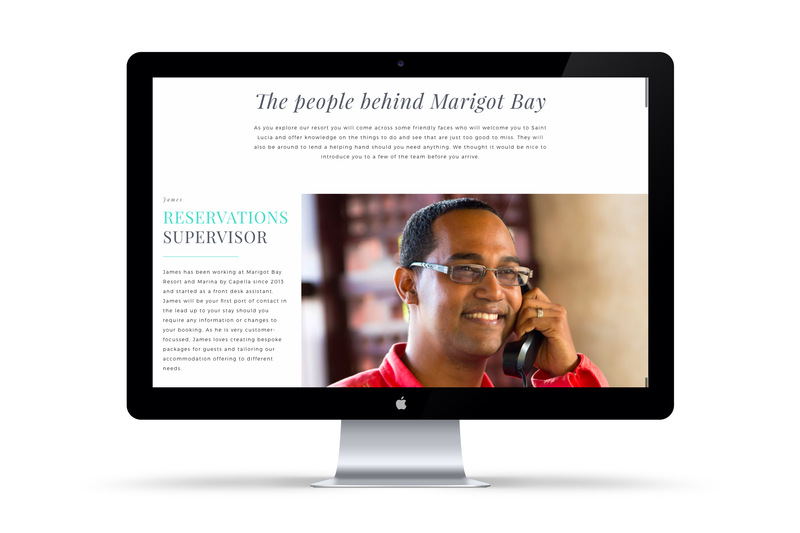 Recently we designed, built, and wrote Marigot Bay Resort and Marina’s website which not only helped to portray the extensive offering of the resort but assisted in increasing the resort’s direct revenue. We took a guest-centric stance to the content for this website, leading with the team working at the resort and telling their stories. The aim of this approach was to allow potential guests to see what life at the resort is like, to get to know staff before they arrive, and to experience how important guest happiness is to those working at Marigot Bay Resort and Marina. You can see this for yourself on their website. Secondly, you should add emotive content and aim to connect with the reader. If they can imagine themselves in the scenario portrayed in your story, your offering will become more relevant and memorable – adding nostalgia or humour to your tale is always a great way to do this. We have been working closely with Hallgarth The Manor House, Durham to create a collection of print and digital brochures to show off their wedding offering. Taking aspects of their tone of voice, we focused on storytelling on a number of levels. Encompassing storytelling from start to finish, the concept of this wedding brochure began as a storybook. 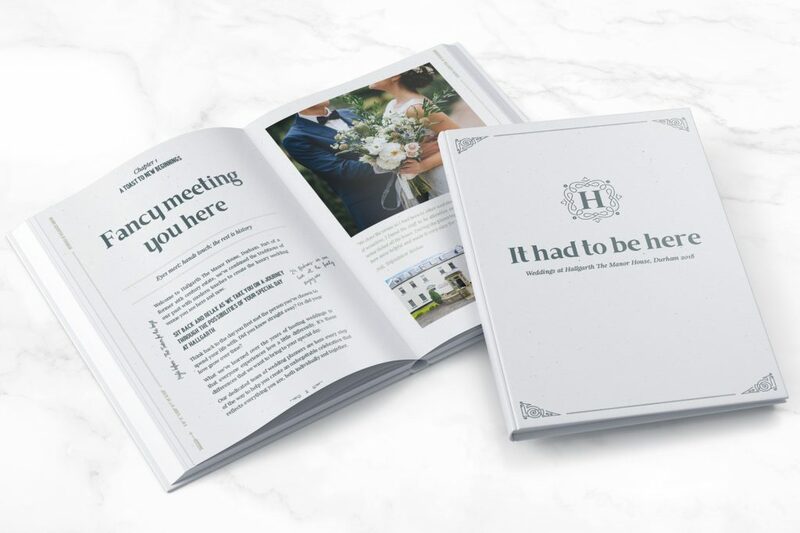 From separating the content into chapters and writing the content on the front cover and blurb around the storybook design, this wedding brochure sells the story of a couple on their search for a wedding venue. The content also focuses on encouraging nostalgia as the readers think back over their own story together. Lastly, your content should always personify the core values of your brand. If you can build on your values and exemplify them in the solution you propose, the audience will see that you offer a quality product and a quality service to match. A good story makes guests care more. If you can successfully encourage people to engage with your brand you will attract more business and boost your bottom line. If potential guests believe in your brand and the solutions you can offer, they will invest.